SecuraSoft™ NSF Merge Software is intuitive designed tool to combine Lotus Notes Archives. This tool helps user to unite unlimited NSF files and migrate them on any platform like Cloud Outlook, Windows Live Mail and Thunderbird with ease. Software merges all the items of Notes like Mailboxes, Contacts, and Calendars etc. Software to combine Lotus Notes Archives will efficiently unite the Archived files of Lotus Notes. In Merge feature software will fuse with the same folder of other NSF files and create a single file for example inbox from one file will be merged with another file. User can opt the Join option to unite the NSF files in which user can save the NSF files without changing their name. In this process all the files are saved as it is in a single file. This way the user does not have any difficulty to locate any mails or files. With this merge NSF archive tool one can eliminate the duplicate item of Notes to avoid the confusion while accessing the file. To remove the stuffs user have to check in the conditions like Date wise or Email Header similarity. Software to merge Lotus Notes database is designed with latest technology as never be applied before to combine Lotus Notes archive database. It is designed in such a way that single click of user leads to merge unlimited NSF Files. NSF Merge software delivers users to exclude deleted items from unification. This helps user to minimize the size of results as well as options to eliminate unwanted data from the outcome. To provide maximum ease to work with NSF Merge software, the user can give a desired name as well as a location for the outcome files. This way user finds comfort in manage and access in locating the files. Lotus Notes Mail Merge tool prepare a live status report at the time of Merging two or indefinite NSF files. Once all the files get merged or joined, a status report will show log details of each file in a hierarchical form. Software to Merge NSF files is compatible with older & newer editions of Lotus Notes(9.4, 9.0, 8.5, 8.0, 8.5.3, 7.5, 7.0 and 6.0). Also Tool is windows friendly and supports (Win8.1, 8, 7, Vista, XP, Win Server 2008, 2003, ME, NT & Others). SecuraSoft™ NSF Merge Utility combines multiple NSF archive file. The most amazing thing I found software has a user firendly interface and which saves our crucial time. The software comes with wide range of features like exclude duplicate items. HTML Formatting preservation is a feature which deserves ten on ten. I am really thankful to your organization for providing us with NSF tool.Software merges all the items of Notes like Mailboxes, Contacts, and Calendars etc.and it does it with outstanding speed and efficiency that is worth appreciating. I have used many NSF merging software in past. But Securasoft NSF Merge Software is a tool that is worth recommending. It comes at such an affordable price and is very user friendly. IBM Lotus Notes is a desktop based email client. Lotus Notes use 2 files-“username.nsf” and “names.nsf”. The address book of IBM notes is stored in “names.nsf” and mail items gets stored in “username.nsf”. When we have our old data in one NSF File and new data in another NSF File.Then both the NSF files are merged in a single NSF file using NSF Merge. There are multiple NSF files of a Lotus Notes Account where we need to search a specific mail present among the several NSF files then NSF files are merged. Lotus Notes Mail Merge tool is exclusively available only on Securasoft's marketed products. This tool is designed to unite two or multiple NSF files in a single file. 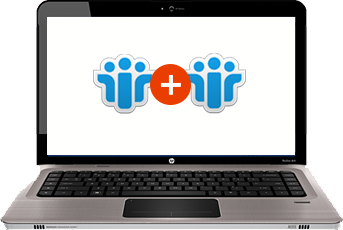 To combine Lotus Notes archives user can opt two methods one is Merge, another one is Join. Both the features are used to unite the data files, but with a little bit difference in working. The Join property of NSF Merge Software is used when the user does not want to change the original name of files. In the Join process selected files to merge are kept as it is in a single folder. But in Merge Process all the standard folder of mails, calendar, contacts and To-do are merged together with each other and create a single file with new folders.